One of the most contentious and emotionally-charged issues in a divorce is child custody. This is understandable since the outcome of your divorce will dictate who will be primarily responsible for raising your child. Below are some common questions related to child custody and corresponding answers. With joint custody, both parents are called joint managing conservators. 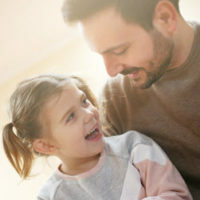 Typically, one of the joint managing conservators is determined to be the residential or custodial parent and will be given the exclusive right to determine the residence of the child. With sole custody, only one parent is awarded custody of the child. The custodial parent will be empowered as the managing conservator for the child. The other parent (i.e. non-custodial parent) will be designated as the possessory conservator. Does Sole Custody Mean The Other Parent Will Never See the Kids? No. As a general rule, custody does not affect visitation. In fact, visitation periods are usually set according to a court-enforceable Standard Possession Order, which is entered without regard to the type of custody arrangement. Visitation is usually established through a Standard Possession Order. It does not matter if you are a joint managing conservator or possessory conservator. If My Child is Older than Twelve, Do They Decide Which Parent They Live With? No. It is true that, under Texas law, a child who is twelve years old, or older, has the ability to submit their parental preference in a document filed with the court. However, the final decision is ultimately left to the court. They will analyze and review the “best interest of the child” to ultimately render a custody decision. How Does a Court Decide the Best Interest of a Child? The Holley factors were then codified in Texas Family Code Section 153.002. This code provision states that the best interest of a child will always be the primary consideration of the court when it determines the issues of conservatorship and possession of the child. As you can see, there are many different moving parts related to child custody. You should not try to manage a custody dispute on your own. Get legal counsel by speaking to one of the experienced divorce and child custody lawyers at Lindamood & Robinson, P.C. Our legal team is comprised of skilled Houston divorce lawyers who can meet with you when you are ready and discuss your legal options and strategies. Contact our office to schedule a consultation.